Zimbabwe Stock Exchange (ZSE)-listed retail group OK Zimbabwe Limited has recorded a 5,1% increase in revenue to $123,1 million for the three months ending June 30, 2013, driven by cost-cutting measures and branch network expansion. 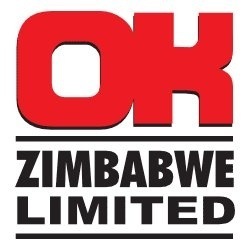 Speaking at the company annual general meeting on Friday, OK Zimbabwe chief executive officer Willard Zireva said the growth in turnover was lower as it had taken into account a gross domestic product (GDP) growth rate of 5%. “This was slightly below our rather aggressive budget which took into account anticipated national GDP growth of 5%. It is generally accepted that the country may actually have experienced zero growth or deflation during the period,” Zireva said. Zireva said OK Mart’s growth was slightly below the company average during the period under review due to lower liquor sales. The OK Zimbabwe boss said gross margin for the same period maintained the same level as in the comparative period last year. “Management continues to improve the margin through better sourcing,” Zireva said. Overheads were down 10% compared with the same period last year. “Profit growth for the quarter is in line with sales growth, but this should improve as we go forward with all the initiatives which are in place or being worked on,” Zireva said. He said the recently announced arrangement with South African company Kawena (Private) Limited would help in bringing remittances into the formal sector. Under the deal, Zimbabweans in South Africa can purchase goods for friends and relatives back home. “The objective is to tap into the Diaspora Zimbabweans including the unbanked who have to support their relatives at home and this brings these remittances into the formal sector and helps in reducing the country’s balance of payments deficit as no forex goes out of Zimbabwe with products paid for in South Africa and received in Zimbabwe,” Zireva said. He said the company had also entered into a distributorship arrangement with blanket manufacturer, Aranda, from South Africa, adding that this would help grow the group’s revenue base. Zireva said refurbishments of outlets and other capital expenditure programmes would continue with funding coming from internal resources. He said the company had opened two new outlets in the first quarter, Wynne Street and at Chitungwiza Town centre. Refurbishments are planned for OK Waterfalls, OK Bindura, OK Houghton Park, OK Gweru and OK Mutare. 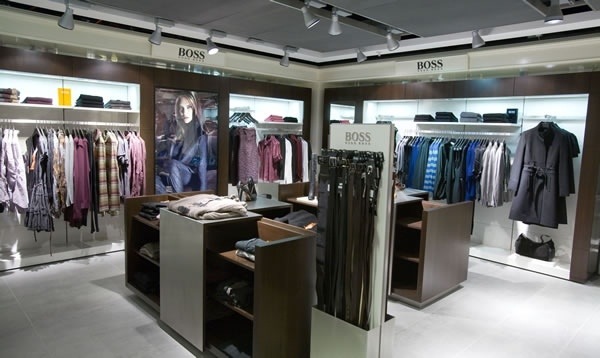 Hugo Boss AG (BOSS) reported earnings that beat estimates after the German luxury-clothing maker opened more stores and tightened inventory handling to protect pricing. Earnings before interest, taxes, depreciation, amortization and one-time items rose 31 percent to 101.8 million euros ($135 million), Metzingen-based Hugo Boss said in a statement today. The average estimate of 11 analysts in a Bloomberg survey was 98.1 million euros. Retail sales will be the “growth engine” this year, Chief Executive Officer Claus Dietrich Lahrs said in March. The company added 61 directly operated stores in the first half. Hugo Boss has moved toward the higher-end segment after merging its Boss Selection range with the core Boss brand a year ago, and has worked on improving its womenswear by appointing Jason Wu as creative director for the arm in June. The value of inventory was down 9 percent to 446 million euros at the end of June, compared with a year earlier, Hugo Boss said today. Adjusted for currency effects, inventory fell by 7 percent. Hugo Boss shares rose 0.2 percent to 87.18 euros in Frankfurt today, valuing the company at 6.14 billion euros. The gross margin, the percentage of sales left after subtracting production costs, widened to 65.8 percent from 62.4 percent, partly as a result of lower inventory valuation and retail sales growth, Hugo Boss said. The average estimate was 63 percent. Second-quarter sales jumped to 531.7 million euros from 485.3 million euros. The average estimate of 14 analysts was 539.3 million euros. Wholesale revenue rose 6 percent on a currency-adjusted basis because of the new collection cycle, while retail sales increased 15 percent. “Hugo Boss remains a quality growth stock that offers a global footprint” and solid revenue-earnings dynamics, Thomas Chauvet, an analyst at Citigroup Inc. in London, said in a note today. “We see long-term opportunities in retail expansion in Asia and the U.S.,” product diversification and sales-productivity improvement. He recommends that clients buy the stock. Sales in Asia rose 7 percent on a currency-neutral basis, while climbing 14 percent in Europe and 9 percent in the Americas. Lahrs said in March that the proportion of sales Hugo Boss gets from Europe may fall to about half by 2015 from 60 percent last year as the suitmaker expands in the U.S. and Asia. China will perform better in the second half of the year, he said, citing benefits of fashion events and the merger of Boss Selection and the core Boss brand. Ebitda before special items and sales on a currency-adjusted basis will rise at a high single-digit rate this year, Hugo Boss reiterated today. Hugo Boss aims for revenue of 3 billion euros and Ebitda of 750 million euros in 2015, with the retail business representing at least 55 percent of revenue by then. Permira Advisers LLP, based in London, acquired in 2007 a majority holding in Valentino Fashion Group SpA, Hugo Boss’s parent company at the time. The private-equity firm owns about 56 percent of Hugo Boss after selling a 10 percent stake in an accelerated bookbuilding in May. Ikea has appointed Gillian Drakeford to the role of country manager for the UK and Ireland. She will take up the position on Thursday, and joins from Ikea’s China business where she was previously country manager. Drakeford has been at Ikea for 26 years and formed part of the management team that opened the company’s first UK-based store in Warrington. Since then she has gone on to work across the Far-East in China and Hong Kong for the past decade. 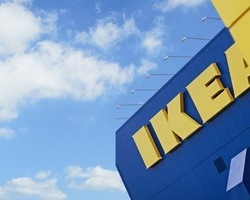 At present, Ikea’s Beijing store receives the highest number of Ikea visitors in the world. Ikea said the appointment of Drakeford ‘supports Ikea’s continued ambition for increased diversity within the company’s senior leadership’. 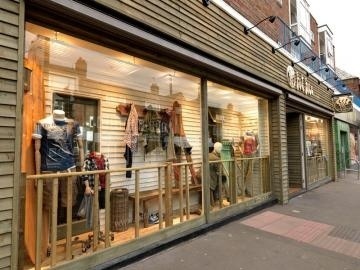 The retailer also stated that the retailer has grown in share from 6.4 per cent to 6.8 per cent under her leadership. Ikea north central Europe region retail manager Jeanette Söderberg said: “I would like to thank Carole for carrying through the assignment as acting country manager in the UK and Ireland with a dedicated heart and mind, strong common sense, thorough way of working and clear leadership. I am also happy to welcome Gillian to the UK and Ireland. Her personal capabilities, experience and energising leadership will be of great support in delivering the UK and Ireland’s strong business agenda”. Google is preparing the Middle Eastern launch of its Hotel Finder search tool that will allow hotel guests to search for available hotels and compare room rates instantly. Already available through Google’s international sites, the US based search company is in the process of localising the service for the Middle East so that it is readily available on regional Google pages. However, the service will not currently allow users to make a direct booking, instead directing them to the booking pages of the relevant hotel company or online travel agent (OTA). The service will connect with Google Maps to allow users to search for and find hotels according to price, location and user ratings, as well as review detailed information about each hotel and its location. 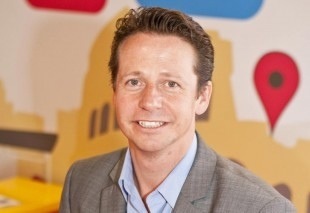 “The reason we have developed these products is because we know that 70% of people look at a map site before they book a hotel, the vast majority of people read reviews before booking a hotel, and if we can put all of that into one space then we get the user from that intent to action in a much speedier process than the usual search through 15 different sites,” added Huddleston. Huddleston also reiterated that while the new search tool will help hotel guests in the region find and compare hotels, Google is not currently making any plans to challenge established OTAs in the region. “They shouldn’t necessarily be worried because a lot of our partners are also OTAs, so you will still have the option to book through them. So users have the choice to book through an OTA, which will have implications for them as they will have to decide whether they have price parity with their competitors, which is their choice at the end of the day. So most of them see it as a good thing, it’s a new effective channel with good booking volumes, and it is speeding up a painful online process,” said Huddleston. While Huddleston was unable to specify a launch date for the new service, he stressed that Google was currently in the process of localising and releasing all of its online tools into the region as soon as possible. BURGER King South Africa, which launched in Cape Town in May, has signed an agreement with Sasol to open restaurants at its petrol-station forecourts, starting at the end of the year. The deal includes company-owned outlets as well as franchising opportunities to current and potential Sasol franchisees. José Cil, president of Europe, Middle East and Africa at Burger King Worldwide, said on Tuesday that the agreement with Sasol allowed the group to position its brand across new channels and expand in South Africa. Burger King SA is a joint venture between Burger King Worldwide and Cape-based, JSE-listed Grand Parade Investments, a diversified company with interests in tourism, gaming and leisure. Burger King SA CEO Jaye Sinclair said the deal supported the company’s growth strategy. “Partnering with Sasol supports our rapid expansion plans and will enable us to increase our growth potential in South Africa over the next few years,” he said. According to Sasol Oil MD Alan Cameron, working with Burger King will allow it to expand its retail footprint in South Africa. “This collaboration will allow two leading brands to leverage each other’s strengths and capabilities,” he said. Grand Parade Investments chairman Hassen Adams said there was an international trend of fuel retail groups partnering with quick-service restaurant brands as it provided them with a point of differentiation and a competitive advantage. Founded in 1954, Burger King is the second-largest hamburger chain in the world. The original “Home of the Whopper”, it operates in more than 12,600 locations worldwide, serving an estimated 11-million customers daily in 83 countries. Although the local market was competitive, Burger King was different as “we flame-grill our products”, Mr Cil said earlier this year, while taste, service and cleanliness “are key attributes of our business and we think that sets us apart from the rest”. “We have strong plans for Europe, the Middle East and Africa.… Our next frontier as a brand and as a company is here in Africa. We’re just getting started and the growth potential in Africa as a whole is massive,” he said. 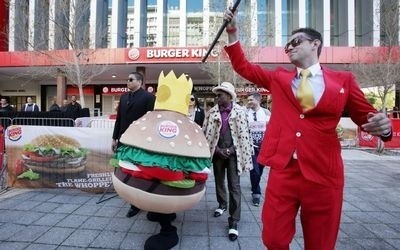 Burger King already has two outlets in South Africa and was to open its third on Tuesday in Cavendish Square in Cape Town. Mr Sinclair said the group planned to become the leader in the fast-growing QSR sector in South Africa. “Although the competition in this sector is fierce, we believe there is a lot of growth in the market and that our offering will find a lot of traction in the market,” he said. Retailers are feeling the pinch as disposable incomes in South Africa come under pressure, but those in the quick-service restaurant segment are being affected to a lesser degree as consumers favour convenience and value over cost. Last year, a study from market research firm Analytix BI said despite increasing costs eating into consumers’ pockets, South Africa’s appetite for fast food was growing steadily — a trend attributed to “deliberately” large portions at low prices that appealed to consumers’ desire for value for money. Online pharmacy, The Healthcounter, has launched a ‘virtual pharmacy’ with a mobile app which it claims will merge the gap between high street and e-commerce and has teamed up with independent pharmacy chain, Day Lewis Pharmacy, to offer a click and collect service. The Healthcounter has designed thousands of boards showcasing its products, which will be located across a range of public locations such as train stations. Shoppers can swipe the items with their mobile phones, via a QR code reader, which will direct them to The Healthcounter mobile app. After scanning, the item is placed in the user’s basket awaiting payment. Once payment has been made the items are delivered to their home or can be picked up at a local Day Lewis Pharmacy at no extra charge. The Healthcounter said its Virtual Pharmacy is designed to offer consumers a crowd- and queue-free shopping experience and claims the locations in which these virtual shelves can appear is endless. The Healthcounter will be launching its Virtual Pharmacy in 100 Playhouses across the UK on 29 July 2013, targeting busy mums who only have time to think about shopping when they have five minutes downtime while taking the children to the local play area. 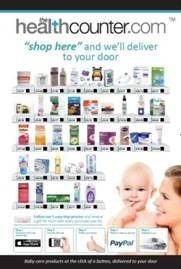 The Healthcounter brings products mums wouldn’t want to carry home from the supermarket, large bulky items like nappies or baby food, the company said. The boards around Playhouses will consist of offers and products that aren’t available on the high street, it added. “We are extremely excited to launch Virtual Pharmacy, it’s a very new technology and we’re thrilled to be one of the first online retailers to launch the app. “Virtual Pharmacy will offer our customers a unique convenient way of practical shopping. Virtual pharmacy could be the future online and mobile shopping and we’re delighted to be making history,” said Simon Tucker, CEO of The Healthcounter. Seattle — Starbucks Corp. reported strong results for third quarter fiscal 2013, with net revenues, same-store sales and operating income all increasing substantially from the same quarter a year earlier. Net earnings grew 25%, from $333.1 million to $417.8 million. Net revenues totaled about $3.7 billion, up 13% from $3.3 billion. Same-store sales increased 8% globally, driven by 9% growth in U.S. stores. In addition to generally strong same-store sales, Starbucks also helped drive revenues with the opening of 1,558 net new stores since the third quarter of the previous fiscal year, including 596 in the Americas segment. The company opened 341 net new stores during the quarter and now operates 19,209 stores globally. Other highlights of the quarter included a strategic agreement with Danone to jointly produce yogurt products; sale of company equity in stores in Chile and Argentina to business partner Alsea; expansion of a long-term strategic partnership with Green Mountain Coffee Roasters for the manufacturing, marketing, distribution and sale of Starbucks- and Tazo-branded single-serve Keurig packs; expanding the number of stores selling La Boulange bakery products to 1,076; and making changes to the senior leadership team. During fiscal 2014, Starbucks anticipates revenue growth of approximately 10% to 13%, mid-single-digit same-store sales growth and the opening of 1,400 net new stores including 600 in the Americas. Fashion and homewares retailer Next has raised its full year profit guidance after adding £10 million to its profits in the first half of its financial year. In the 26 weeks to 27 July 2013, total sales rose 2.3% helped by an 8.3% increase in online and catalogue sales at Next Directory. 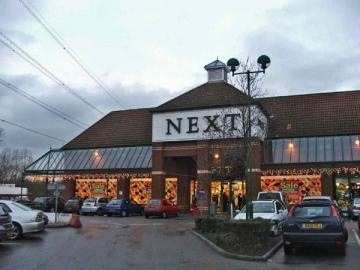 However, the good news did not extend to Next’s high street stores where sales edged down 0.9%. In a statement, Next said its full price sales were somewhat better than the headline figure as a result of a much smaller end of season sale. Prior to the start of the clearance on 13 July, sales were 3.7% ahead of the same period in the previous year as the retailer entered the sale with 20% less stock than last year. Clearance rates also improved while markdown sales were down by only 13%. The retailer said it had continued to experience the weekly sales volatility seen in first quarter and suggested that its customers were becoming more spontaneous in their purchasing habits with sales being increasingly affected by short term events such as a change in the weather and the timing of Bank Holidays. “We do not believe increased volatility has much effect on overall spending, but it does mean short term consumer trends are harder to read,” Next added. Pre-tax group profit expectations have now been revised upwards after the higher full price sales and lower markdowns added £10 million to first half profits. Next now expects profits for the year to January to be in a range of between £635 million to £675 million, up from the £615 million to £665 million predicted in March. 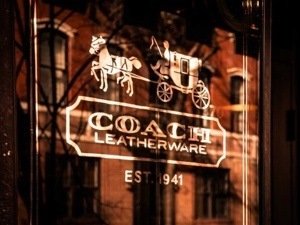 Net income at Coach fell a whopping 12% this quarter as the retailer faces intense competition from Michael Kors, Kate Spade, and Tory Burch, the company said in an earnings statement today, according to Bloomberg. Chief Financial Officer Jane Nielsen said the negative sales trend will continue for the next year. In an attempt to spur revenue, the company is trying to break into menswear and plans to offer more expensive handbags in the future. Handbags currently top out around $600, but new lines could be as much as $5,000. Why is Coach so hurt by the competition? Analysts have blamed the lack of a visible personality, like Michael Kors or Tory Burch. US-based footwear retailer Steve Madden has opened two new stores in the UAE, taking the total stores up to 17 in the country. The 114.7 sq m space in Sahara Mall and 130 sq m store in Bawadi Mall were inaugurated at a ceremony attended by the retailer’s senior management. 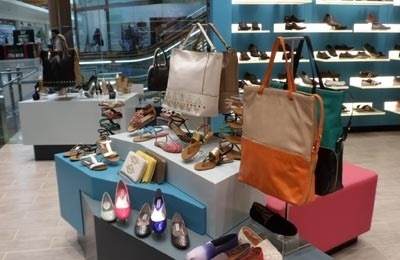 The new stores showcase a range of footwear and handbags catering to Steve Madded lovers in Sharjah and Al Ain. 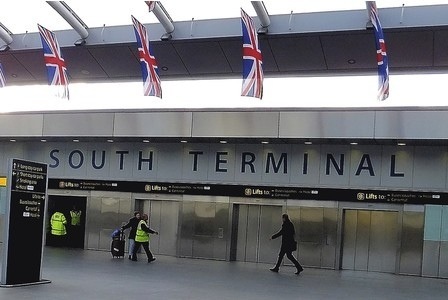 PEOPLE with leftover holiday money burning a hole in their pocket will have a plethora of new ways to splash their cash at Gatwick Airport’s South Terminal from this month. Kurt Geiger and Hugo Boss were among eight retailers which opened new or refreshed stores at the airport on Thursday, with two others following shortly. Gatwick will also be the first UK airport to open luxury store Aspinal of London and jewellery shop Ernest Jones this month. And Harrods will also open a 6,500 square feet fashion store on August 1 at the airport. On top of the ten already opened or about to open, 12 other new or refreshed retail outlets will complete the transformation of the South Terminal departure lounge later this year. It is in response to passenger feedback that people wanted more choice. Spencer Sheen, head of retail at the airport, said: “As part of our multi-million pound investment programme, we have spent £21 million transforming the South Terminal international departure lounge into a state-of-the-art retail space. Samsung “info tablets” will also be available across Gatwick from this month and will be located throughout the airport, providing retail and airport information. The North Terminal retail space is also undergoing changes including the recent opening of the world’s first Ted Baker accessories-only outlet. Passengers will also be able to check out a newly designed Fat Face branch, as well as the new Boots Express, Lacoste and Superdry stores which opened in June and July. The Red Lion pub also recently reopened after a complete refurbishment. Hudson’s Bay Co. (HBC), a middle-market Canadian department store chain with a similar assortment to Macy’s, has agreed to pay $2.4 billion to acquire Saks Inc. (SKS), one of America’s most prestigious luxury retailers. Hudson’s Bay, founded in the 17th century as a fur trading company, will pay $16 a share in cash, a 30 percent premium to New York-based Saks’s closing price on May 20, the day before media reports emerged that Saks was exploring alternatives, according to a statement today. The transaction, which brings together the Hudson’s Bay, Lord & Taylor and Saks Fifth Avenue brands, creates a company that will operate 320 stores. The audacious move is a coup for Hudson’s Bay Chief Executive Officer Richard Baker, 48, who over the past seven years has acquired and refreshed retail chains while leveraging their real estate. 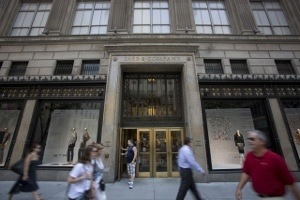 Saks will continue to be based in New York and retain its existing management, Baker said today. While the newly merged entity will combine back-office operations to save costs, the three chains will retain separate buying operations so the merchandise will reflect each brand’s identity. “We believe that by working together we can continue to enhance and optimize the Saks business while preserving their iconic brand,” Baker said on an conference call with analysts. “While there are numerous opportunities to collaborate and drive efficiencies, we will respect the integrity and uniqueness of the Saks franchise,” he said. Hudson’s Bay is Canada’s largest department store chain, with 90 stores selling goods ranging from shoes to perfume and appliances to linen. Last year it generated about C$4 billion ($3.9 billion) in sales. In 2008, NRDC Equity Partners LLC, owner of the Lord & Taylor and Fortunoff chains, agreed to buy Hudson’s Bay, investing $500 million in new equity. Baker, who then ran NRDC, became CEO of Hudson’s Bay. He hired Bonnie Brooks as president and put her in charge of The Bay after Brooks engineered the turnaround of Hong Kong-based department store Lane Crawford Joyce Group. Under Brooks, Hudson’s Bay has upgraded and modernized its stores and replacing under-performing brands with stronger ones. Hudson’s Bay will benefit from adding “the luxury counterpart” to its lower priced Hudson’s Bay and Lord & Taylor chains, Mortimer Singer, president of New York retail consulting firm Marvin Traub Associates, said in a telephone interview today. The combined nameplates can leverage their now larger buying power with vendors of fashion priced below the highest designer level, he said. “It seems like a smart move and a continuation of everything Richard Baker has already done,” Singer said. The $16 a share price is “fair,” Singer said. Saks rose 4.2 percent to $15.95 at the close in New York and has advanced 52 percent this year. Hudson’s Bay increased 5.8 percent to C$17.45 in Toronto for a 4.4 percent advance in 2013. Luxury retailers have fared better than mid-priced chains and discounters since the industry emerged from the recession. They wealthiest consumers, who are insulated from concerns about persistent unemployment, have returned to their stores, snapping up even the highest-priced goods. Neiman Marcus Group Inc., the Dallas-based luxury chain owned by TPG Capital and Warburg Pincus LLC, also is seeking the capitalize on the rebound, in its case by pursuing an initial public offering. Saks trails Neiman Marcus and Nordstrom in key metrics including sales per square foot because Saks over-expanded last decade and is saddled with a number of under-performing stores. Saks posted revenue of $3.15 billion last year, short of the $3.28 billion it recorded in the retail year that ended in early 2008. Chief Executive Officer Stephen Sadove has been closing the chain’s underperforming branches. It now operates 41 namesake stores, compared with 54 in early 2007. Including debt, the transaction is valued at $2.9 billion. Hudson’s Bay, founded in 1670 and based in Toronto, expects the deal to produce C$100 million ($97 million) in cost savings within three years. Saks hired Goldman Sachs Group Inc. in May to explore strategic alternatives, including a sale. Hudson’s Bay is paying about 9 times Saks’s earnings before interest, taxes, depreciation and amortization on an equity basis, compared a median multiple of 8 for similar deals compiled by Bloomberg. The combined company will have 179 full-line department stores, 72 outlet stores and 69 home stores throughout the U.S. and Canada, along with three e-commerce sites, according to the statement. Saks has locations on Fifth Avenue in New York City and Wilshire Boulevard in Beverly Hills, California, while Hudson’s Bay has properties in downtown Toronto, Vancouver and Montreal. Hudson’s Bay plans to expand Saks Fifth Avenue into Canada and continue to roll out Saks’s outlets across the U.S., it said. It will evaluate creating a real estate investment trust with the combined portfolio of the three main retail nameplates it will now own, it said. Baker has a lengthy history in real estate investment and has acted as the non-executive Chairman of Retail Opportunity Investments Corporation, which focuses on retail properties located on the east and west coasts of the United States. ROIC owns and operates 50 shopping centers, encompassing about 5,600,000 square feet, according to the company’s website. Deborah Weinswig, an analyst at Citigroup in New York, in May valued Saks’s real estate portfolio at $1.5 billion before debt, or about $6 a share after net debt. The company’s Fifth Avenue flagship store represents over $800 million of this value, she estimated. Hudson’s Bay Company follows several other Canadian retailers into creating real estate investment trusts to make the most of valuable properties. Canada’s largest grocery chain, Loblaw Co., Canada’s largest grocery chain, Loblaw Co., established its real estate trust, Choice Properties REIT earlier this year to spin off 75 percent of its real estate. Canadian Tire, Canada’s largest sporting goods retailer, announced on May 9 it would create a C$3.5 billion REIT in an initial public offering this fall. REITs, which receive preferential tax treatment from the government, are companies that invest in income-producing real estate and pay out most of their income to investors through unit distributions. Saks has 40 days to seek bids from other suitors. Hudson’s Bay plans to finance the purchase with $1 billion of new equity, $1.9 billion of senior secured loans and $400 million of senior unsecured notes and available cash on hand. Lincoln Road Mall in Miami Beach, a pedestrian-only promenade between Alton Road and Washington Avenue, attracts 13 million visitors annually with retailers such as Adidas Y-3, AllSaints Spitalfields, Scotch & Soda, John Varvatos, Madewell and Anthropologie. 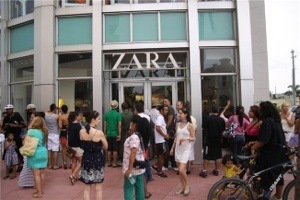 Spanish retailer Zara will join the retail roster of Lincoln Road with a 24,000-square-foot flagship on two levels opening in the winter of 2013. A registered Miami Beach landmark, 420 Lincoln Road was originally designed by architect Albert Anis at the site of the Lincoln Road Hotel. The Zara flagship will integrate the property’s Art Deco design elements and two-story rounded glass facade. With 1,763 stores worldwide, Zara continues to open more units, despite the fact that its sales, like those of other fast-fashion companies, have been slowing. Inditex, Zara’s parent, said last month that the second quarter started off at a faster pace, with sales between May 1 and June 7 increasing 8 percent in local currencies. Still, the figures represent a deceleration. Inditex recorded 16 percent revenue growth in the year ended Jan. 31 and a 12 percent gain in local currencies between Feb. 1 and March 11 of this year. The Lincoln Road flagship will offer men’s, women’s and children’s apparel and accessories. 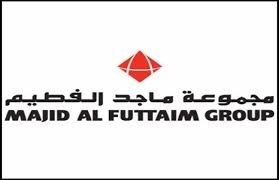 Dubai’s Majid Al-Futtaim (MAF), the leading retailer across the MENA region, announced Thursday its trading results for the first half of 2013, which hit $3 billion, a 10 percent rise compared to the same period in 2012. MAF stated that its Earnings Before Interest, Taxes, Depreciation and Amortization (EBITDA) grew by 11 percent during the first six months of 2013, reaching $0.44 billion. Egypt’s Al-Ahram Arabic-language news website reported recently that MAF has decided to increase its investments to LE3.2 billion ($0.46 billion) compared to a total of LE600 million (roughly $85.7 million). MAF, with total assets valued at over $10.6 billion, announced in May its full ownership of the Carrefour franchise in the MENA region, after already having purchased a 25 percent minority stake in the renowned worldwide retailer. MAF stated that the acquisition was worth $682.6 million. In April, Reuters reported that MAF was in advanced negations over the purchase of Egypt’s largest supermarket chain from the family-owned Mansour Group. A due diligence process for the purchase of Mansour Group’s Metro chain and discount grocery store Kheir Zaman has been concluded. Mansour Group’s retail businesses are worth an estimated $200 to $300 million. WOOLWORTHS, whose number of online shoppers has doubled year on year, has revamped its website with a fresh look and a number of new features, the upmarket retailer said on Wednesday. By global standards, the e-commerce platform in South Africa is relatively limited but with ever greater numbers of time-poor and tech-savvy shoppers, convenience is becoming a key factor. Local retailers are increasingly entering the e-commerce fray, highlighting the growing trend towards capturing online trade in a bid to take market share. Nikki Cockcroft, head of online at Woolworths, said the group’s customers wanted a simpler, more seamless integration between online and in-store shopping, with the added convenience of being able to access all their favourite products no matter the time, place or device. A World Wide Worx study last year found that e-commerce in the retail sector in South Africa had seen a 30% consecutive year-on-year growth since 2009. 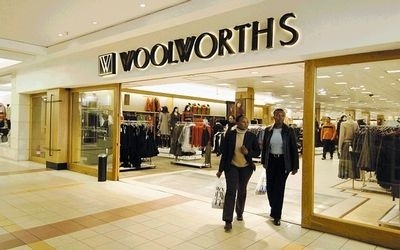 The new-look Woolworths online site now offers the full range of the company’s products. Roger Tejwani, retail analyst at Noah Capital Markets, said it was increasingly important for retailers to have a robust e-commerce strategy, especially in times when consumers are becoming much more discerning, and there was more competition and choice availability in the market. Both Edcon and Mr Price have ramped up their online presence. “Once the online shopping market opens up a bit more, it makes it easier for newer brands to come in. “Historically, South Africa has been a fairly protected market. If you’re an offshore retailer looking to come into the country, it is very difficult to get the footprint organically without acquiring a local retailer. A lot of the retailers here have taken space throughout the cycle, even when they probably didn’t need it just to keep the international retailers out and protect their margins,” Mr Tejwani said. DOHA, July 25 (Reuters) – Qatar Luxury Group will launch the first boutique for its luxury brand Qela in Doha in late September, selling leather goods, shoes, jewellery and made-to-measure clothing designed with Qatari heritage in mind. It will be followed by a unit in Paris in coming months, a company statement said. An opening in New York is also being considered, a spokeswoman said. 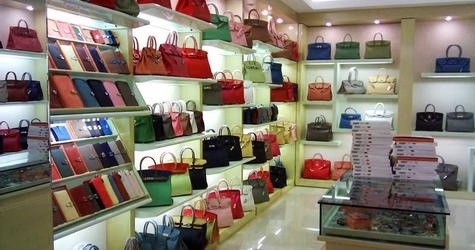 Qatar Luxury Group, owned by the Qatar Foundation and headed by former LVMH executive Gregory Couillard, made its first acquisition by buying an 85.7 percent stake in the Paris-listed leather goods company Le Tanneur et Cie last year. Qatar’s sovereign wealth fund has been one of the world’s most active investors with assets ranging from stakes in German sports car maker Porsche to shares in British bank Barclays . It bought the London department store Harrods in 2010 from Egyptian-born businessman Mohamed al-Fayed in a deal reported to be worth around 1.5 billion pounds. In July last year the fund the announced plans to take the Harrods brand global to cities such as Paris and New York. It also bought a 1.03 percent stake in luxury conglomerate LVMH. The John Lewis Partnership has announced that Waitrose managing director Mark Price is to become its deputy chairman, succeeding David Barclay on conclusion of his final term in office as a non-executive director. Price will continue in his role as managing director of Waitrose after the appointment and will take up his additional responsibilities in August. Meanwhile, Barclay will remain on the Partnership Board until 28 February 2014 to continue as chair of the remuneration committee and to assist in recruiting his successor as non-executive director. At least, that’s how Marc Andreessen sees it. The entrepreneur and tech investor was recently quoted saying that all physical retail stores will die, succumbing eventually to the vast sea of online competition. According to Andreessen, there will be one way to shop for everything and that way will be e-commerce. It’s also fair to say, given that Andreessen co-founded Netscape and is invested in a number of online properties, that he might be just a little predisposed to this extreme position. 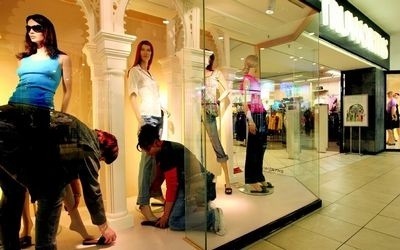 Nonetheless, his opinion caused some unrest in the retail community and should be taken seriously. I have been a vocal proponent of a somewhat different future; one that includes both virtual and physical stores. You see, if I believed that humans shopped for no other reason than to acquire goods, I might be more aligned with Andreessen’s view but in fact, we don’t shop just to get stuff – any more than we go to restaurants purely for nutrition. In fact, we often shop to fulfill other deeper needs as well – the need to disconnect, to socialize and to commune – and at times to simply be out in public. Why else would celebrities brave the hoards of paparazzi to shop for things they could undoubtedly have delivered to them on a silver platter? The physical, human experience of shopping is in some ways of far greater value than the goods that come along for the ride. So, while shopping is a means of acquiring the things we want and need, it’s also a meaningful social activity that appeals to our deepest, human tendency to gather in tribes. That said, I’m convinced that between the futures that Andreessen and I describe, lies the truth. But one thing is quite certain; that retail stores will be much different in the years to come than they are today. Regrettably, this is where the debate usually ends, with one side declaring brick and mortar retail dead and the other passionately defending its infinite existence. Rarely do we hear either side attempt to describe the specific ways in which stores are likely to evolve from what we see today. In other words, few seem willing to paint a picture the store of the near future. So, I’ll take a shot at it, based not on what I foresee twenty years from now but rather based on what I see just around the corner and in front of me today. These are some of the biggest changes I see to the concept of the retail “store”. Stores will increasingly become places that we visit, not simply to pick up mass produced articles but also to design and co-create special things with the personal assistance of experts. Whether it’s customizing a suit, building a one-of-a-kind notebook computer or designing the perfect bicycle, stores will be the point of collaboration and customization. These elements of customization will make for unique personal and physical experiences. With online players like Amazon prepared to ship just about anything we want in a matter of a day or two, our dependency on physical stores for mere distribution will continue to wane rapidly. Smart brands will have no choice but to, focus increasing amounts of attention on making their store spaces experiential brand starting points, with high production value. Stages where magic happens. Canadian sporting goods retailer Sport Check recently unveiled a concept store that might better be described as an adult amusement park for the sports enthusiast. Leveraging a variety of media and technology, the store has morphed into a wall-to-wall sporting experience. The store remains the most visceral expression of the brand essence. The purpose of retail will no longer be to solely convert every customer into a buyer of goods but rather transform them into disciples of the brand itself. To begin a relationship – a dialogue that may play out in any number of buying channels; online, in-store, mobile or elsewhere. It doesn’t matter where purchases take place. What matters is that the consumer falls in LOVE with the brand and shares that love with others. The store maintains the potential to be that emotional center of gravity for the brand. The economics of online competition mean that brick and mortar discount merchants will have no alternative but to completely automate their store environments to remain cost-competitive – Walmart , for one, is already heading in this direction. At high-end merchants, stock clerks, cashiers and inventory counters will be the similarly replaced with technology. Front line salespeople, however, will be higher performing professionals who are paid considerably more money than today, and will be expected to literally sweep customers off their feet! These rare individuals will be intense believers in the brand, super-users of its products and co-creators with their customers. The era of the minimum wage clerk is giving way to the simultaneous rise of the robot at the low end and the Brand Ambassador at the high end. The current practice among retailers of asking for personal information only to annoy and interrupt with meaningless offers will give way as consumers garner more tools to filter out these useless overtures. Enlightened retailers, like Neiman Marcus, will appeal to their customers for a more overt exchange of value promising distinctly better, more customized and enjoyable experiences in exchange for relevant personal information. The transition is less about privacy and data and more about earned trust through performance. And the fruits of these data inputs will be almost immediately tangible to customers through clearly personalized services and product offerings, as data latency quickly becomes a thing of the past. Consumers, particularly younger consumers are developing an insatiable appetite for what’s new and next. Therefore, managing the same 100 stores in a mall for years on end simply won’t do anymore. Leases will shorten, new retail brands will evolve more quickly, old ones will die sooner and pop-up installations will rotate through the space. Change will be continual. The mall manager’s role will become that of editor and curator as the mall becomes a revolving door for new brands and concepts, in a relentless effort to captivate consumers. In a contracting market, there will be increasingly little room for sameness. Ten retailers at the mall selling variations of the same clothing styles will soon become 5 retailers who absolutely kill it, with unique and remarkable collections. Average, forgettable experiences simply won’t pay the rent anymore and will be kicked to the curb by outstanding stores who bring something new and fascinating to the market. So, is retail dead? Not a chance. If anything, it’s the very pervasiveness of online alternatives that is causing the best stores to rise out of the ashes of 30 years of mediocrity, ushering in what I, for one, believe will be the true Golden Age of the Store. (Update) Coincidentally, a week after writing this post, Google announced that they would be opening physical retail outlets. Zurich: The world’s biggest watchmaker Swatch Group said it was confident about the second half of the year after its first-half net profit shrugged off a crackdown on traditional gift-giving in China to rise more than expected. Net profit was up 6.1 per cent to 768 million Swiss francs ($821.2 million), ahead of a 728 million estimate in a Reuters poll. Gross sales increased a slightly better-than-expected 8.7 per cent to 4.181 billion francs. During the first half of the year, watchmakers have been grappling with double-digit percentage declines in Swiss watch exports to Greater China, which absorbed about a quarter of the timepieces that left Switzerland between January and June. “The outlook for the Group remains very promising, and a strong second half-year is expected,” the maker of Omega, Longines and Swatch watches said in a statement on Tuesday. French luxury goods maker Hermes said last week the market for its timepieces in China was suffering from a crackdown on the tradition of gift-giving to party officials and business leaders to facilitate transactions. Swatch’s operating margin declined to 22.7 per cent from 24.5 per cent a year ago due to integration costs for jewellery maker Harry Winston that Swatch bought for $1 billion this year and higher marketing expenses. Shares in Swatch have fallen some 12 per cent from May’s all-time high of 602 Swiss francs as Chief Executive Nick Hayek flagged the first half would be weak. Peer Richemont, which also hit a peak in May, has only shed 5 percent since. They trade at about 15.1 times forward earnings, according to Reuters data, at a discount to Richemont at 16.8 times and LVMH at 16.9 times. Hayek has said the second half of the year should see an improvement thanks to better sales trends in China, new products, including its new mechanical Swatch watch Sistem51, and easing comparables. 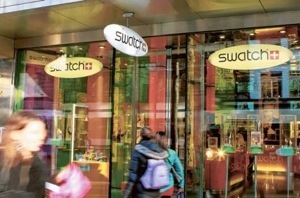 Swatch, which supplies mechanical watch movements to almost the entire industry, suffered a setback earlier this month when Swiss competition authorities decided Swatch could not cut supplies to rivals as much as it would have liked. Lifestyle clothing retailer Fat Face is to expand into the US after seeing a sharp rise in annual profits. The retailer, which operates around 200 stores in the UK, plans to open three outlets on the US east coast during the next two years as well as launch a US website. Owned by private equity group Bridgepoint, Fat Face increased its underlying profit by 35% to £31.2 million in the year to 1 June 2103 while turnover rose by 12% to £179 million. FOLLOWING Shoprite and Massmart which indicated a slowdown in growth, shares in Truworths slid more than 7% on Monday to close at R80 after the fashion retailer’s earnings guidance fell short of market expectations. With employment creation still lagging, consumers remain challenged by increased living expenses which are eroding disposable income in Africa’s largest economy. While Truworths has been conservative, applying stricter credit granting policies, the credit environment deteriorated in its full year, owing to rising levels of consumer indebtedness. At the end of the 52-week period ended June 30, the group’s gross trade receivables or money owed to it, ballooned by 11.3% to R 4.2bn relative to the prior period-end. The company, which is heavily reliant on credit sales, expects headline earnings per share to rise between 7% to 9% for the 52-week period, relative to the prior 53-week period ended July 1, 2012. This equates to 10% to 13% respectively, if the effect of the additional trading week in the prior period is excluded, which is still below the group’s 16% rise in headline earnings per share for the 53-week period in 2012. 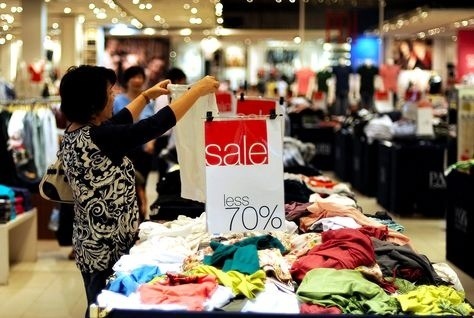 36One Asset Management analyst Daniel Isaacs said Truworths’ update was “terrible”. “They either got squeezed on their clothing margin and/or the bad debt charges which have started to pick up, its probably a bit of both. We have also had an unseasonably warm winter and that always affects clothing retailers across the boards,” he said. In the period, Truworths’ sales increased 10.7% to R10.1bn, from 12.9% in the comparable 52-week period, while product inflation averaged 2%. Credit sales contributed 72% to retail sales, the company, headed by CEO Michael Mark, said. Like-for-like sales grew by 5.7%, from 7.8% for the comparable period last year. Along with concerns around credit, the consumer environment was very tough to drive top line growth at this stage, according to Avior Research analyst Michael McLeod. “Truworths’ book has grown slower, but they did note in line with what we saw in the first half that the credit environment had deteriorated, which is obviously a concern from an investor perspective,” he said. Drikus Combrinck, portfolio manager at PSG Konsult, said while Truworths had missed estimates, the dramatic movement in the share price was somewhat “inflated”. “The resources are performing well because we have a technical level being broken on the gold price and Amplats (Anglo American Platinum) came out with a better than expected interim statement. So we have classical sector rotation in the market at the moment,” he said. 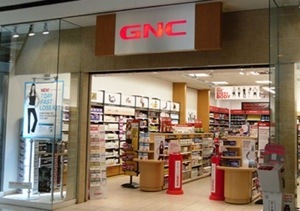 Pittsburgh — GNC Holdings Inc. on Monday opens its first freestanding store in China. The store, located in the Raffles City complex in Shanghai, is the first of about 25 standalone stores GNC plans to open in China during the next 12 months. GNC has had a retail presence in China for the past two years through more than 60 store-within-a-store locations within eight different major grocery, convenience and health-and-wellness chains in China, including Ole, City Super, Sam’s Club and Watson’s. The retailer also sells products to Chinese consumers online through partnerships with e-commerce sites including Tmall, Amazon and 360buy, and runs an office and distribution center in Shanghai. Struggling fashion and homeware chain Nicole Farhi has been bought by businesswoman Maxine Hargreaves-Adams. The retailer, founded in 1982 by French Connection boss Stephen Marks and Nicole Farhi herself, went into administration earlier this month. Last year Ms Hargreaves-Adams, daughter of Matalan’s founder John Hargreaves, bought the Fenn Wright Manson womenswear chain out of administration. She said the Farhi business was “an iconic and much-loved British brand”. The retailer has six standalone stores and also sells its clothing in department stores Harvey Nichols, House of Fraser and Selfridges across the UK. Restructuring specialist Zolfo Cooper was appointed on 3 July to find a buyer for the business, which employed 75 staff across its retail network, and had another 44 staff employed at its headquarters in London. Peter Saville, partner at Zolfo Cooper, said the acquisition would mean “preserving a well-known retail brand”. Ms Hargreaves-Adams also bought Fenn Wright Manson from Zolfo Cooper in March 2012. HENNES & Mauritz (H&M), the world’s second-largest fashion chain, is the latest in a string of top global brands set to open shop in South Africa. H&M has signed a lease to open a store in Mall of Africa in Johannesburg, and is working to find a way to open in the V&A Waterfront in Cape Town, according to sources. 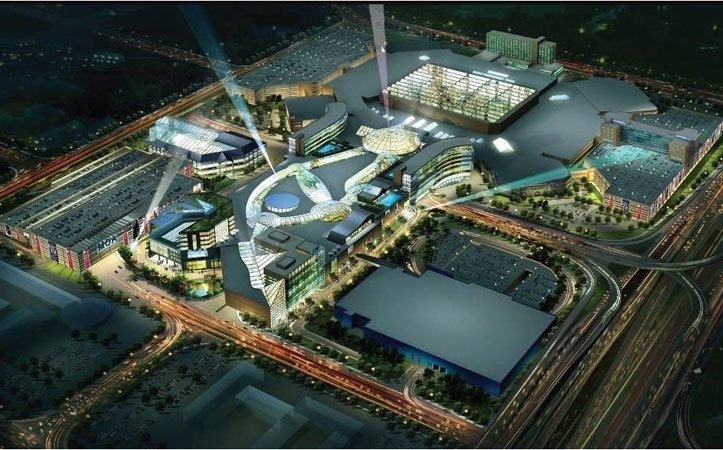 Mall of Africa, which is due to open at the end of 2015, is being developed by Atterbury Property Holdings. A confidentiality agreement is in place, and the retailer is working on finding premises in Cape Town. H&M looked at the previous Pick n Pay site in the V&A Waterfront, but that did not materialise, and is now looking at other options. H&M has been keen to get into the local market but, similarly to clothing and accessories retailer Zara, is finding it difficult to secure prime space in the size it requires at top centres. The retailer also looked at Sandton City, but it has not yet found a suitable site there. Hennes & Mauritz has six independent brands, including Weekday, and operates in more than 40 markets. The fashion chain opened its first store south of the equator in Chile in March and is expected to expand further around the world. 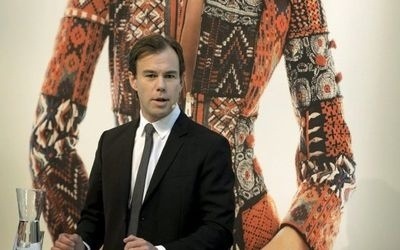 H&M is keeping its cards close to its chest, but CEO Karl-Johan Persson told the Financial Times in May that the group was considering starting production in South America and Africa. The group was founded by Karl-Johan’s grandfather, Erling, and was previously run by his father, Stefan. LVMH Louis Vuitton Moet Hennessy, the French luxury goods conglomerate part owned by Qatar, has acquired 80 percent of Italian luxury cashmere clothing brand Loro Piana for 2 billion euros ($2.57bn), boosting the firm’s presence in high-end handcrafted products popular with Asian buyers. The deal gives Loro Piana an enterprise value of 2.7 billion euros, or more than 3.8 times the company’s expected 2013 sales of 700 million euros. Loro Piana, which is also an integrated manufacturer of fine yarns, has been enjoying average annual sales growth of 17 percent over the past three years, which analysts said would help make up for slower growth at other LVMH brands such as Louis Vuitton. “The price is steep but it is a fairly unique business,” said Paul Swinand, analyst at market research house Morningstar. Loro Piana, which makes 30 percent of its sales in Asia, has enjoyed continued strong demand in China even as some other luxury brands such as Gucci and Louis Vuitton have experienced slowdowns. Earlier this year, it said it expected sales to grow a little over 10 percent this year, after growth of 13.1 percent to 630 million euros ($815m) in 2012. Consultancy Bain & Co expects sales in the global luxury goods market to rise 4-5 percent this year, cooling from 5 percent last year at constant exchange rates. LVMH said it planned to expand the Italian brand’s leather goods offering as well as its footprint worldwide. Loro Piana gets 85 percent of its revenue from its 185 directly operated stores and shop-in-shops. LVMH said it would finance the deal with cash and new debt and expected the transaction to close at the end of the year. The takeover comes two years after LVMH’s purchase of Roman jeweller Bulgari for 3.7 billion euros and more than a decade after it acquired leather goods maker Fendi and fashion label Emilio Pucci. Sovereign wealth fund Qatar Holding holds a 1.03 percent interest in the company, which was valued at around 699m euro ($914m) last year. Qatar is believed to be the Middle East sovereign wealth fund among the bidders hoping to buy US luxury department store chain Saks Fifth Avenue, according to reports in the US media. The unnamed fund, which the New York Post newspaper said was most likely to be Qatar, is part of three investors which are aiming to gain ownership of the popular chain. The report said the Qataris were interested in buying rival chain Neiman Marcus earlier this year but the deal fell through. Other bidders in the race to acquire Saks include Barry Sternlicht, the New York real estate mogul who created the W Hotels chain and Hudson’s Bay, the Canadian owner of department store Lord & Taylor. Sternlicht’s bid is most likely to be the most successful, the report added. Founded in 1898 in New York, Saks Fifth Avenue also has stores in Saudi Arabia, Bahrain and the UAE. Saks’ shares rose 8 percent on Friday on reports of the latest bidders. Overall, the retail giant’s shares are up 51 percent this year. Qatar already owns Harrods, the luxury London department store, and is planning to expand the retail brand into the hospitality sector. UK online clothes retailer ASOS is pushing into China after electing to work with e-commerce platform provider Hybris to launch a new fashion e-retail business there. Given that China’s e-commerce market is booming — with a report noting that Chinese netizens will collectively spend an estimated $296 billion in the whole of 2013 compared with US e-shoppers who will spend $252 billion – and 60 percent of ASOS sales come from outside the UK, the online fashion store’s move into the country is a natural step to take. ASOS Chief Information Officer Pete Marsden said that China is a primary driver of growth within the Asia-Pacific region, and is therefore a market in which the company wants to be a major player. New statistics released by the China Internet Network Information Center show that the population of online shoppers in the country stands at around 271 million as of June 2013, up 11.9 percent from December 2012. We needed a proven and robust omni-channel platform that can support our new e-commerce business and the rapid growth and high traffic numbers that we’re expecting due to the size of the Chinese market. We also required one that would allow us to collaborate with local, native-speaking implementation partners who are familiar with the cultural, technical, legal, political and governmental issues in China to help facilitate the development process. ASOS will be working with Hybris’ partner ecosystem in the region. The platform provider basically offers an enterprise-grade commerce suite for all channels, including the Web and mobile, for companies to sell more goods, services and digital content. ASOS’ strategic tie-up with Hybris marks its nascent push into China — a country where e-commerce has been dominated by Alibaba, which has 24,000 employees, is estimated to be worth $40 billion and surpassed Amazon and eBay combined in terms of sales volume last year. Alibaba’s two biggest businesses are: a virtual “mall” for brands Tmall and eBay-like Taobao marketplace. It is little wonder that ASOS is keen to anchor its presence in more markets — though it has not revealed further details on the timeline of its launch in China. The fashion e-commerce scene has been heating up recently, with German incubator Rocket Internet especially active. Rocket Internet-backed Lamoda, a fashion-focused e-commerce site in Russia, raised $130 million last month, and in May Zalora, another site backed by the incubator, raised $100 million. The number of people shopping in Northern Ireland’s high streets has suffered a 6% drop in June, retailers have said. The figures are considerably worse than the whole of the UK where the total was up 0.1%. In June, shopper numbers in Northern Ireland were 5.9% lower than a year ago, compared with a 3.1% decline in May 2013, according to figures from Springboard. 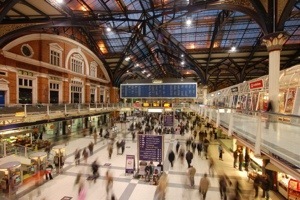 Greater London, Wales, the West Midlands and Scotland all reported a rise in footfall above the UK average. 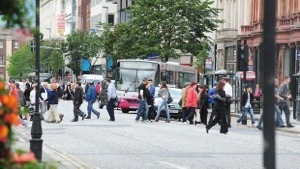 “June has been a disappointing month on Northern Ireland’s high streets. Despite the good offers and promotions that are available at the moment, shoppers have continued to stay away,” Aodhán Connolly, Director of the Northern Ireland Retail Consortium said. 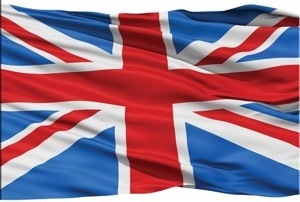 “Northern Ireland retains the unfortunate position of showing the worst performance in the UK. However, one shopping centre in Craigavon has reported a rise in visitor numbers by more than 5% in the first five months of 2013 compared to the same period last year. The UAE has been ranked second on the A. T. Kearney Retail Apparel Index, which identifies the top 10 developing countries ranked in terms of market attractiveness, retail development, and country risk for their clothing retail industries. “From the overall point of view, the UAE has all the components to be a very successful market for apparel,” said Emanuele Savona, A.T. Kearney principal. Reasons for this include that the country is growing in terms of GDP and consumption per capita and also has a vast young population attracted by big brands, Savona said. China leads the index, which also features other Middle Eastern countries, namely Kuwait and Saudi Arabia ranking at fourth and sixth respectively. The region and the UAE in particular remains a lucrative retail apparel market. According to consulting firm A.T. Kearney, many retailers are testing their operations in the UAE before expanding to other countries in the Middle East due to the UAE’s ease of doing business, sizeable retail segment, large expatriate community, and tourism. Tourism provides a major boost to the apparel market, particularly in the high-end luxury goods sector, according to Colin Beaton, retail analyst and managing director of Limelight Creative Services. Additionally, apart from the high number of expatriates residing in the country, another key factor behind the lucrative nature of the apparel market here is the weather because summer months mean more people turn to the malls to the beat the heat, Beaton added. Lifestyle and cultural factors also drive more numbers of visitors to malls. “The shopping mall is a social venue,” Beaton told Gulf News, adding that the combination of a high disposable income as well as people spending more time in malls would translate into greater apparel sales. Several notable apparel store openings have occurred in the UAE since 2012, including Level Shoe District, Prada, Muji, COS, Gap, Calvin Klein, Juicy Couture, and Destination Maternity. Bulgari and Bloomingdale’s plan new stores in 2013 in Abu Dhabi. E-commerce is also projected to grow in the near future, but it is uncertain whether the luxury goods sector will see the same rate of growth in online shopping, Beaton said, as the shopping experience was more important where luxury goods are concerned. “People are willing to spend an extra 5 or 10 per cent on the experience,” he said. “Apparel is not an easy market for e-commerce,” Savona said, adding that this could be due to people wanting to try out clothes for the right fit and size — a feature not available online. However, as one moves to shoes and accessories like bags, the apparel market becomes attractive for e-commerce, Savona added. “The development of the right retail capabilities to offer a perfect in-store brand experience to the shoppers will be critical to differentiate from competition and ensure a long-lasting success, especially in the most competitive markets,” Savona said. 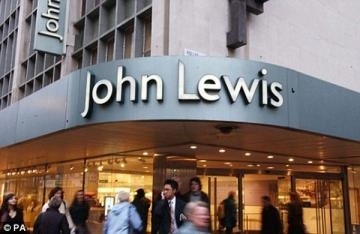 John Lewis has announced plans to open a store at Heathrow’s Terminal 2 in June 2014. The retailer is investing more than £1 million in a 335 sq m shop at the airport, curating the best of home, fashion, gifting and seasonal ranges. The new Terminal 2, to be known as ‘Terminal 2: The Queen’s Terminal’, in honour of Her Majesty The Queen is the latest phase of the five year, £11 billion transformation of Heathrow. 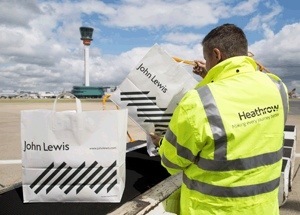 John Lewis Heathrow will be located on the top floor of the departure lounge and will form part of the first impression for passengers passing through security. Harrods luxury department store in London, on June 24, 2013. Harrods, which has more than 1 million square feet (90,000 square meters) of selling space, isn’t concerned about the outlook for spending on luxury goods. Anne Long hasn’t set foot inside Harrods in years, and the self-proclaimed shopaholic from west London doesn’t miss it at all. “I don’t even think about Harrods. It’s for tourists, not locals,” said Long, a 68-year-old retired businesswoman who prefers to do her jewelry and fashion shopping at rival Selfridges. For many British shoppers, the 164-year-old Harrods evokes a bygone era when Sigmund Freud, Oscar Wilde and members of Britain’s royal family walked its aisles and the retailer introduced England’s first “moving staircase.” Today, its dress code still bans flip-flops, Bermuda shorts and “unkempt clothing,” and there’s a bespoke stationery service on the second floor. Now, a push is on to update the stuffy image of Europe’s largest department store. To stay true to the motto that’s engraved on the store’s neoclassical facade — Omnia Omnibus Ubique, or All Things for All People, Everywhere — Harrods is embarking on a revamp. Its owners want to lure back Britons who’ve been dazzled by the bright lights of Selfridges and other more modern-feeling shops, so they have quadrupled investment, culled mid-priced brands and are refurbishing the 4.5-acre, seven-floor store to clear space for Stella McCartney and Fendi SpA fashions. 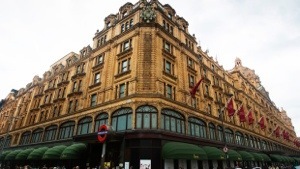 A more modern Harrods would attract younger Britons and leave the store less dependent on overseas shoppers whose spending can be impacted by currency fluctuations and political instability, said Verdict Research analyst Honor Westnedge. 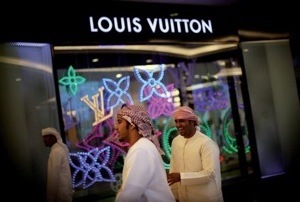 Harrods is also battling luxury online merchants and new high-end shopping centers in Dubai and Southeast Asia. Qatar Holding, the investment arm of the country’s sovereign-wealth fund, paid 1.5 billion pounds ($2.3 billion) for Harrods in 2010. The Qataris boosted store investment to 108 million pounds in the year ended January 2012, up from 24 million pounds in 2009. They want “a strong return on their investment,” Ward said from his sixth floor office, dressed in a navy Harrods own-brand suit and a Stefano Ricci red silk tie. Under his leadership, the brand is outperforming the sector — Harrods’ sales rose 11 percent to 652 million pounds, excluding concessions, in the year ended January 2012, the most recent data available, compared with a 4 percent gain for the broader U.K. department store sector that year. Selfridges Holdings Ltd. sales rose 5 percent to 464.8 million pounds, including concession commission in that period, according to a filing with Companies House. That figure excludes value added tax, according to the filing. Selfridges didn’t return calls today seeking comment. Selfridges is more innovative than Harrods and better at targeting younger Britons, Verdict’s Westnedge said. Featuring the world’s largest shoe department and handbag brands from 69-pound Dune totes to exclusive 1,800-pound Delvauxs, Selfridges attracts the “seriously rich but also the not-so-rich,” says Tracy Wandsworth, a 42-year-old mother of three. To win back some of those customers, Ward said he plans to do “a bit of trimming” of mid-tier items, replaced by brands like Fendi, the Italian fashion merchant owned by LVMH Moet Hennessy Louis Vuitton SA (MC), and Kering SA (KER)-owned Gucci and Stella McCartney. More profitable fashions helped boost Harrods’ operating profit 15 percent to 125 million pounds in 2011, according to statements filed to U.K. registry Companies House. And they appeal across the board to all potential patrons — British or otherwise, he said. Harrods is also sprucing up other departments to capitalize on growth in luxury spending. The store’s refurbished fine spirits room today began displaying a 12-bottle collection of Dalmore whiskies costing 987,500 pounds. Yet compared with Selfridges, Britain’s second-biggest department store, Harrods isn’t trying enough new things to generate buzz, according to analysts. This year, both stores have introduced expanded denim boutiques with specialists on hand to ensure the perfect fit of, say, 199-pound Current Elliott jeans. Selfridges, though, has added an online “denim lovers” campaign that encourages shoppers to post photos of their favorite jeans on Twitter. Oak Brook, Ill. – McDonald’s has signed a contract with Vietnamese businessman Henry Nguyen to serve as a developmental licensee for the company in Vietnam. Nguyen, founder of Good Day Hospitality and managing partner of IDG Ventures Vietnam as well as a former part-time McDonald’s store employee in the U.S., is expected to open Vietnam’s first McDonald’s restaurant in Ho Chi Min City in early 2014. “We are pleased to be opening in Vietnam and bringing the McDonald’s experience of quality food, great service and contemporary design to our 38th country in Asia,” said Don Thompson, president and CEO of McDonald’s Corp.
Vietnam is one of more than 65 countries where McDonald’s uses the developmental licensee model, which it launched 30 years ago. One Direction have announced plans for their latest 1D World pop-up store. Scotland’s first retail shop dedicated to the boyband will open on July 20, making it the third such store to open in the UK. It is also the 10th to launch in Europe, and 29th overall, having previously opened in New York, Sydney, Barcelona and many other cities. 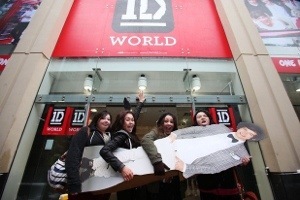 1D World will cover 2,270 square feet in Glasgow’s Silverburn Shopping Centre until August 4. One Direction will release their new single ‘Best Song Ever’ in the UK on July 22, with the video set to feature older versions of themselves. Their movie This Is Us will be in UK cinemas from August 29 and a day later in the US. Azadea Group has hit the market with another “George” one of the UK’s largest fashion retailers, in Jordan’s capital city, Amman. 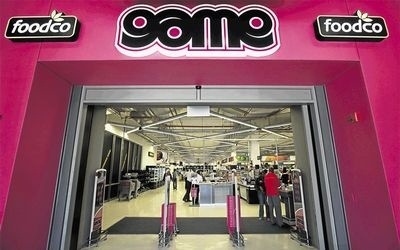 The new store at Galleria Mall, is the second George store and follows on from the success of its first opening at Mecca Mall back in December 2012. With something for the whole family, George’s Spring/Summer 2013 collection is inspired by the latest catwalk trends and brings you the best in summer style. The women’s range is chic and elegant, while the menswear has a stylish selection of daywear and more formal pieces for those extra special occasions. George is one of the UK’s biggest kidswear retailers, and is aiming to be a market leader for kidswear in Jordan as well. George also has vintage-inspired shoes and eye-catching patterned bags, all of which will be available in both Galleria Mall and Mecca Mall . With clothing for men, women, and children, as well as accessories, bags, footwear, and a 100-day guarantee, this unique brand perfectly reflects its slogan, offering an irresistible combination of quality, style and value. Shoprite Holdings Ltd. (SHP), South Africa’s largest food retailer, fell the most in two weeks as second-half sales slowed amid weaker consumer spending in its domestic market. Total sales growth declined to 10.4 percent in the six months through June, compared with 13.8 percent in the previous half-year period, the Cape Town-based company said in a statement today. 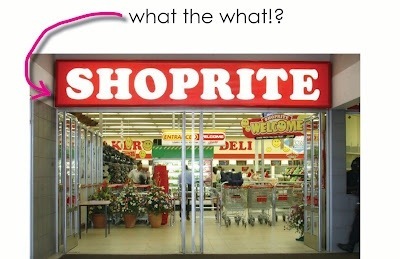 “The growing pressure on consumers’ disposable income reflects in the slow-down in sales in the South African supermarket division,” Shoprite said. Full-year revenue growth at the domestic unit weakened to 9.8 percent compared with 12.9 percent for the same period a year ago. South African retail-sales growth slowed to 1.9 percent in April, a six-month low, as slower economic growth and rising joblessness curbed consumer spending. The unemployment rate climbed to 25.2 percent in the first quarter from 24.9 percent in the previous three months, as the labor force expanded and the retail, finance and construction industries cut jobs. Massmart Holdings Ltd. (MSM), the South African retailer controlled by Wal-Mart Stores Inc., also said July 9 that sales growth slowed during the first half of the year amid a downturn in consumer spending. Shoprite shares fell as much as 4.3 percent to 182.99 rand, the biggest slide on an intraday basis since July 3, and traded down 4 percent as of 3:25 p.m. in Johannesburg. Massmart dropped 3.7 percent, while Woolworths Holdings Ltd., a food and clothing retailer, slid 3.3 percent. Revenue from Shoprite’s operations outside its core South Africa market increased by 28 percent compared to the year earlier period, the company said. 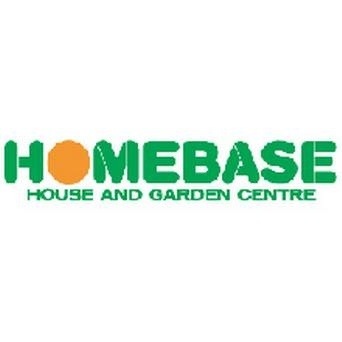 MORE than 550 jobs are at risk after house and garden chain Homebase Ireland went into examinership. The High Court appointed an examiner to the business this morning as the company struggles with the collapse in the retail market. Homebase has 15 stores in Ireland and employs some 558 people. In a statement, Homebase Ireland said it was looking at closing three stores for now: Fonthill in Dublin, Carlow and Castlebar, in Co Mayo. Those stores employs 17 full-time and 79 part-time staff. The future of the other 12 stores depends on landlords’ willingness to renegotiate lease terms, Homebase added. The company said sales have fallen by almost a third since 2009 and has not made a profit in five years, mainly due to the collapse in the housing market and lower spending on repairs and improvements. It has also blamed “upward only” rent reviews for its inability to reduce its operating costs. 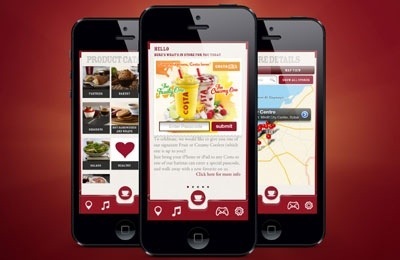 Dubai: Costa Coffee has become the first coffee chain in the region to launch a mobile phone application in the UAE. The app boasts of a distinct navigation tool, complete online product details, social media integration, store finder options and uses the custom Costa colours red and cream. Costa Coffee constantly keeps abreast with the current trends and this time it is delivering another channel to communicate and engage with customers. The app helps locate or be notified about the nearest Costa Coffee stores and users can also play games and listen to music on the go. Users can also stream music from their favourite internet radio stations or playlists while being mobile. The app also comes with pre-built templates of Sudoku and Crossword games where users can set challenges to receive instant awards. Nordstrom’s Pinterest community could soon have influence over what is displayed in stores. The retailer is testing showcasing the most popular items on Pinterest in various departments of its physical stores. Nordstrom, which has 4.5 million users on the social network, is the first retailer to test this approach. Popular items on Pinterest are displayed with a red tag identifying them as popular. Bryan Galipeau, social media manager at Nordstrom, told Business Insider it “makes sense” for the retailer to incorporate social feedback into the shopping experience. Nordstrom has been working with Pinterest for years. The retailer has a “Pin” button for every item on its website. It also showcases popular Pinterest items on its e-commerce site. But Galipeau said this test takes the engagement to a whole new level. The retailer also created an in-store app for salespeople that matches up popular Pinterest items with current inventory for a department on a store-by-store basis. Nordstrom started testing displaying Pinterest items in its Seattle stores in March. Encouraged by those results, it began rolling out tests at other stores around the U.S.
Galipeau said that there’s no rhyme or reason to what items blow up on Pinterest. The hottest categories are women’s shoes, dresses, and handbags. One of Nordstrom’s most popular items ever was a women’s swimsuit. The company plans to get feedback from customers and employees before expanding the test even further. Galipeau said the test could have important implications for how the retail industry uses social media. Brampton, Ontario – Loblaw Companies Limited announced it will acquire Shoppers Drug Mart in a deal worth about $11.9 billion, merging the Canadian grocery and drug retailers. Shoppers Drug Mart will retain its name and brand and operate as a separate division of Loblaw while expanding its product offerings to include Loblaw’s private label and convenience food products. Shoppers Drug Mart gives Loblaw entry into the small urban store sector. Trius said that Shoppers Drug Mart, which will be maintained as a separate division from Loblaw, will be led by Domenic Pilla, president and CEO. The transaction is slated to be completed within about six months. WALMART-owned Massmart on Tuesday released a weaker than expected update, saying sales grew 8.9% to R32.3bn in the 26 weeks to June 23. Comparable store sales increased 5%. Moderate retail trading conditions are expected in 2013 as consumers trade down due to debt pressures, escalating costs, higher inflation and a lack of job creation in Africa’s biggest economy. Product inflation for the period was estimated at 2.9%, the company, headed by CEO Grant Pattison, said. Sales at Masswarehouse, which operates its Makro warehouse stores increased 13.6% and 6.9% on a comparable basis. Massdiscounters, which operates two retail formats, Game and Dionwired, saw sales rise 9% (3.7% on a comparable basis). Absa Investments analyst Chris Gilmour said overall he was not impressed with the group’s numbers. “Massdiscounters was the worst performer, however if you look at what’s happening in terms of big ticket items at the likes of Lewis Group and JD Group there is a similar type of pattern materialising. “The performance reflects the difficulty that consumers are facing when it comes to spending on discretionary items. People just don’t have the money to spend, and with credit being reined in by banks and retailers, its making it more difficult. The Masswarehouse division’s performance wasn’t bad,” he said. At Massbuild — which trades in DIY, home improvement and builders’ hardware under the Builders Warehouse, Builders Express and Builders Trade Depot brands — sales grew 9%. Meanwhile, Massmart’s food wholesale business Masscash grew sales 5.5%. Retail sales growth remained subdued during the second quarter on the year‚ according to the latest EY/Bureau for Economic Research (BER) retail survey released last month. While clothing and footwear sales volumes remained solid‚ sales of furniture and household appliances and non-durable goods such as food‚ beverages‚ tobacco products and cosmetics disappointed during the period. According to Derek Engelbrecht‚ retail and consumer products sector leader at EY, whereas the growth in household consumption expenditure was the mainstay behind the domestic economic recovery since the recession‚ the growth in consumer spending was expected to be subdued and much less supportive of economic growth during the remainder of this year. “Both real income growth and credit extension are expected to slow further on the back of weak global economic growth and the debilitating impact of seemingly relentless social unrest and industrial action‚ high household debt levels and deteriorating business and consumer confidence levels on the domestic front‚” Mr Engelbrecht said. Global retail giant Walmart acquired a 51% stake of Massmart in 2011. Massmart’s results for the period are due to be released on August 22. TOM TOM CLUB: Tom Ford is expanding its retail footprint, with new flagships in Chicago and Dallas, bringing its U.S. store count to five. The 4,700-square-foot Chicago unit, slated to open in August, is located on two floors of the old Esquire Theatre building on Oak Street, which has been transformed into a luxury shopping complex. The store’s ground floor features 15-foot ceilings and marble floors, with VIP rooms enveloped in ivory ultrasuede situated upstairs. The Dallas store will open in September, as reported, and will occupy about 5,000 square feet in Highland Park Village. The design scheme includes Newport white marble floors, mirrored walls, an Alexander Calder mobile and Makassar ebony fixtures. “As a Texan, it is extremely meaningful for me to open a flagship store in Dallas,” said Tom Ford, who was born in Austin. 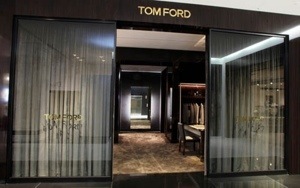 The two new units join existing Tom Ford stores in New York, Las Vegas and Beverly Hills. With these openings, there will be 95 Tom Ford locations globally, including directly operated stores, partner-operated units and shops-in-shop. That store count is slated to reach 99 by the end of the year. Andy Murray and Kim Sears to be next Burberry couple? Rumours point to Wimbledon champion and Burberry fan Andy Murray and his girlfriend Kim Sears starring in the brand’s next campaign. At the Wimbledon Champions Dinner last week, The Telegraph pointed out how newly-crowned winner Andy Murray and his other half Kim Sears, both elegantly turned out in Burberry, could give Tom Sturridge and Sienna Miller a serious run for their money. Real-life couple and actors, Miller and Sturridge star in the British brand’s autumn/winter 2013 campaign, which sees them enjoy a very public display of affection by kissing for the camera in chic trench coats. Now rumours in the Daily Mail point to Burberry chief creative officer Christopher Bailey wanting to sign Murray, 26 and Sears, 25. The couple, who met through Sears’s tennis coach father Nigel, have been dating for seven years and often receive front row tickets to the luxury fashion giant’s London Fashion Week show. Murray’s manager Simon Fuller is thought to be orchestrating talks between the two parties, and as manager to the Beckhams, was most likely involved in securing 10-year-old Romeo Beckham’s recent stint as a Burberry campaign star. Past couple pairings for the brand include Eddie Redmayne and Cara Delevingne, and Rosie Huntington-Whiteley and Sam Riley, but these personalities did not enjoy an off-camera romance. Murray and Sears have already proved they make the perfect team, and can sport Burberry with as much flair as your average model, so perhaps it’s time they took their declarations of love out of the tennis stands and onto billboards across the world. Bahrain will tonight open its biggest ever traditional souq, which organisers forecast will attract up to 20,000 people a day, it was reported. The 18,000sqm souq will open at the historic area of Hunniniyah Valley and will feature 80 indoor and outdoor stalls selling traditional clothing, perfumes and scents, food and handicrafts, according to a report by the Gulf Daily News. Set to be the biggest of its kind in Bahrain, it will operate at weekends from 9.30pm until midnight. 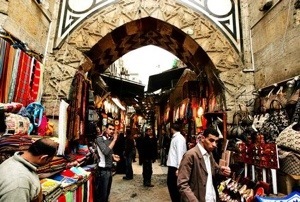 “At the moment, exhibiting products is free and we want to attract as many merchants as possible to the market, which is also located in a unique historic natural site in the middle of the governorate,” municipality director-general Asem Abdullatif was quoted as saying. The municipality said it had spent BD25,000 ($66,313) setting up the stalls and it was the result of three years of development. “We are very proud the market will now open to the public after three years of waiting and our aim is to make it permanent,” said council chairman Mohsin Al Bakri. “The 20,000 people expected daily is a huge number, but we are ready,” he added. Bahrain-based Sharia compliant investment firm Tadhamon Capital has acquired real estate assets in the UK valued at £32m ($50m). The first transaction is for the £26m purchase of the 251-bed Brunswick House student accommodation scheme in Cambridge and is part of an existing relationship with McLaren Properties. The accommodation opened in 2012 and is at 100 percent occupancy. The second acquisition, between Tadhamon and Maria Mallaband Care Group, is to forward fund a £6.7m, 53-bed care home in Buckinghamshire, which will provide premium healthcare for residents requiring dementia, nursing and residential care. Tadhamon said it is also considering three other developments in south-east Britain, which will provide 184 beds and are valued at £21m. “Both transactions will enjoy the privilege of distributing cash yield to its investors/shareholders with an attractive investment return at the exit,” said Waleed Abdulla Rashdan, CEO of Tadhamon Capital. “We are firm in our belief in these alternative real estate sectors as drivers of real value to our investors and will continue to source and structure deals within sectors of the UK economy which have exhibited robustness in light of the recent global economic turmoil,” he added. The purchases take the total value of assets purchased under its social infrastructure platform in the UK to $190m. 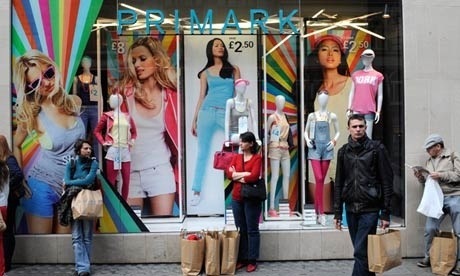 Primark’s parent, Associated British Foods, said good weather had been a significant factor in its performance in the three months to 22 June, outweighing the negative publicity. Gap and Walmart signed up to a similar – although not legally binding – accord on Wednesday. It was branded a “sham” by NGOs who claimed inspection findings would remain secret. Bason declined to say whether he was disappointed that Walmart, which owns Asda’s George range, refused to sign the accord recommended by the Ethical Trading Initiative. ABF donated food to around 1,300 families shortly after the event and compensated3,300 workers in the building, as well as providing long-term support to families of those working for Primark’s supplier who were killed. Separately, Bason defended the company’s decision to start selling clothes online through fashion website Asos, despite previously claiming the company would never sell on the internet. Elsewhere, ABF’s grocery business saw sales improve 8% in the quarter, as the company, which owns the Kingsmill bread brand, signed a deal to supply loaves to the entire Co-op supermarket estate. 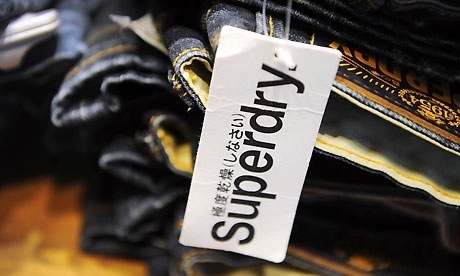 SuperGroup, the retailer behind street fashion brand Superdry, hailed a return to form as it reported a 22% surge in pre-tax profits. Revenues were up 15% to £360m for the year to April, as the retailer accelerated its international expansion with new outlets in France, Spain, Denmark, India and Lebanon. Floor space in the UK and Europe was increased by 13.8% to reach 536,000 square feet, helped by the opening of six stores in the UK, including a flagship 16,000 sq ft store in the Trinity shopping centre in Leeds. The group rebranded its 20 Cult stores as Superdry last year, to capitalise on the growing popularity of the brand, whose fans include David Beckham and Pippa Middleton. The group plans to extend its floor space in the UK and Europe by a further 80,000-100,000 sq ft in 2014. The group has also been investing in its internet business, with 10 new local language sites including Italian and Norwegian. Online sales rose by 28% and are now worth 11% of the group’s revenues, as customers in more than 100 countries log on to order the retailer’s trademark hooded sweatshirts and Japanese-character embossed rucksacks. Thursday’s financial report will be welcomed by investors after a turbulent time in 2011-12, when the group issued a string of profit warnings following IT problems and an incorrect forecast of demand for its goods. Julian Dunkerton, the chief executive of SuperGroup and creator of the Superdry brand, said the financial performance was a return to form. Primark also shared in the good news on the high street, as it reported a 22% increase in total sales over the 40 weeks until mid-June. The budget fashion chain’s performance helped its parent company, Associated British Foods, to a 9% increase in revenues. The Saudi Arabian Labour Ministry has warned abaya and lingerie shops they will be regularly and spontaneously raided to ensure men and women are not working together. Non-compliant businesses may be shut down, deputy minister for inspections and developing work atmosphere, Abdullah Abuthnain, said. The ministry has appointed 45 female inspectors to carry out the raids. Shop owners are not allowed to employ men and women together,” Abuthnain said. Under King Abdullah, Saudi Arabia is relaxing rules around female employment. Last year the kingdom’s overturned historic legislation banning women from working without the permission of their father or husband. An increasing number of women have taken up positions in certain retail outlets, particularly shops catering to women such as abaya and lingerie stores. However there are still strict rules around men and women working alongside each other. SuperGroup, owner of the Superdry brand, is set to trial a Chinese website next year. The news of the site, which is currently under development and will be fulfilled from the UK, came as the fashion retailer today said that its ecommerce sales grew by 27.8% in its latest financial year, and now account for 11.2% of group revenue. That’s up from 10% at the end of last year. Total revenue grew by 14.9% to £360.4m in the year to April 28. Retail sales grew by 5.7% on a like-for-like basis, and pre-tax profits rose by 0.8% to £51.8m. The fashion retailer now sells to 122 countries through 16 Superdry websites, after adding 10 new local language sites during the course of its latest financial year in countries from Canada to Switzerland, Sweden and Spain. As with the forthcoming Chinese website, all are fulfilled from the UK, a move that allows them to carry the full Superdry range. Ecommerce is one of the five pillars of the Superdry strategy. The others include expanding the UK and European standalone retail estate, expanding overseas through franchising, widening the product range and developing an efficient operations infrastructure. The company currently has 330 outlets worldwide, of which it owns 113 and 142 are franchises. Julian Dunkerton, chief executive of SuperGroup, said: “The enduring appeal of the Superdry brand and the improvements and extensions to the ranges, in particular the progress made in womenswear, gives me confidence that there are significant opportunities for growth across all channels and geographies. Over the course of the year SuperGroup rebranded its 20 Cult stores to Superdry. The brand now only sells online through Cult.co.uk. But starting this fall, the mall is planning to add up to 5.6 million square feet of space in hopes of drawing an additional 20 million visitors annually. According to the mall’s website, the new expansion will aim to attract customers with annual household incomes of $100,000 or more. Unlike the existing mall, the new stores and lodging options will be in a “boutique” style. The expansion will also add up to 8,000 parking spaces. The mall has become something of a shopping destination for wealthy tourists from Asia and Europe, and international visitors have been known to spend up to 2.5 times more than domestic customers, according to the Pioneer Press. Management wants to cater to these higher-income customers by putting an emphasis on luxury retailers and by offering features like valet parking, a wellness center, multiple spas, a permanent museum-quality exhibition space. They’ve already added a Radisson Blu Hotel, which is part of an Radisson’s upscale chain. The mall is also looking to up the quality of its food offerings; food courts will be known as “food halls” and menus will feature less pizza and soda in favor of more sushi and wine. The expansion will end up costing about $2.5 billion in total and will take place in several stages, according to the Pioneer Press. The first phase of construction will begin this fall and will cost about $250 million, adding about 50 new stores and expanding the mall to the north. 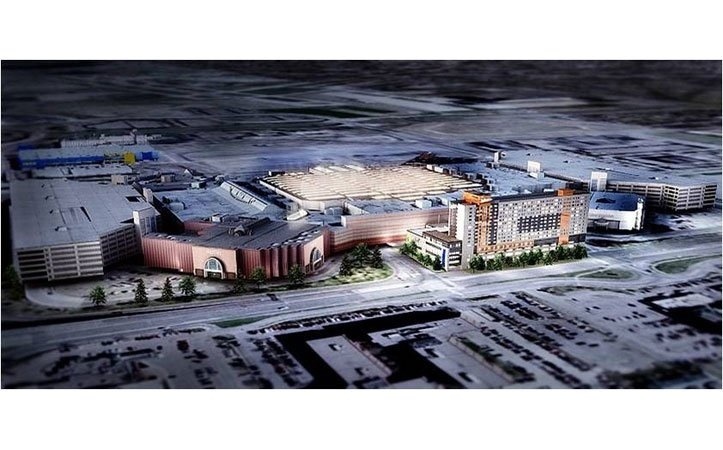 The Pioneer Press also reports that among the new amenities will be a state-of-the-art water park and accompanying resort with 300 to 400 rooms and an NHL-sized indoor skating rink.